Looks like Galaxy Note owners will have to wait a bit longer for their taste of ICS. Samsung has announced that the update will be pushed back to Q2 2012 to add in extra "Premium Suite" of apps to enhance the S-Pen functionality. 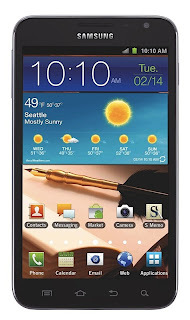 Some of the features seem pretty interesting but worth the wait to get ICS? We aren't too sure. Especially given that there is nothing stopping Samsung from releasing the ICS update then at a later date releasing the "Premium Suite". Check the video after the break for a demo of the new enhancements to S-Pen functionality that will come with the ICS update.